Everyone loves carpeting aquarium plants right? I mean there’s nothing more delightful than looking at a beautiful green carpet of plants that are growing very happily at the bottom of your tank. They’ve always been popular and a question we’re asked fairly regularly so it made sense to put down in detail the plants we recommend, why we do that and how easy they are to grow. You see, the thing with carpeting aquarium plants is they’re not necessarily tricky but are neglected due to their location and this is why some fail. In addition a lot of carpeting plants have small root structure so you need to make sure you offer plenty of fertilisers and liquid carbon, AND a nutrient rich substrate. By covering all the bases you give yourself the very best chance of creating a carpet you have always dreamed of. Micranthemum ‘Monte-Carlo’ . This beautiful carpeting aquarium plant is suitable for beginners and up is unlikely to cause you any problems whatsoever. In fact its very tolerant of beginners which makes a refreshing change in the carpeting aquarium plants section.The leaves on this plant are small but not too small if you know what I mean. Now this is key because it’s able to photosynthesise very nicely doe to leaf shape and number. You can tell by the pot that this plant is absolutely loaded – literally thousands of leaves per pot. You can have high light, low light, CO2, no CO2 and it will still do well. There’s very little negative to say about it which is why it gets the top spot that beginners and above will love. If you’re after a bit more detail, view our other blog post on it by clicking here. And here’s a rather neat video of the plant being trimmed. In SECOND PLACE in carpeting aquarium plants is Staurogyne porto vehlo. Now you probably haven’t heard of this plant nor considered it as a carpeting aquarium plant but it seriously is a huge contender. Not quite as straight forward as Monte Carlo but if you kill this plant I’ll give you your money back (actually I won’t but it’s really easy to care for plant!) Once settled into your tank, you need to do very little to it for it to start creeping across the bottom of your nutritious substrate (you have got one right?! If not you need to). 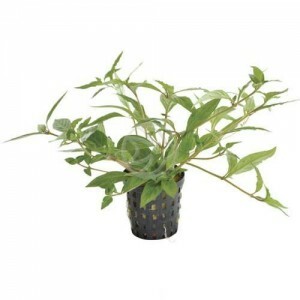 Suitable for both high and low light planted aquariums, only start to trim once it throws down roots. 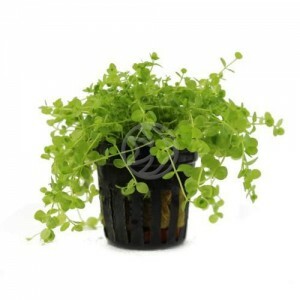 Apart from that you need to do VERY LITTLE for this plant to flourish and become and excellent Carpeting Aquarium Plant. 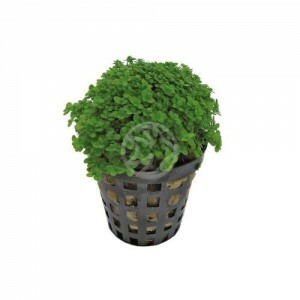 Buy this plant now by clicking here. In THIRD PLACE in carpeting aquarium plants is Micranthemum umbrosum. 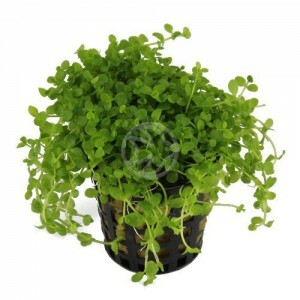 Not too dis-similar from the easiest of the carpeting aquarium plants as you can tell from the name. Very easy to care for and creeps perfectly. Leaves are small and round, maybe 5mm in diameter. But can you see the way it hangs down over the pot in the picture? This is why it’s another perfect carpeting aquarium plant – gravity forces it down. In term s of lighting, it would benefit from slightly higher light, so you might get away with it in a low tech tank, but the addition of liquid carbon would always help and benefit the plant. Like all plants once you’ve placed it in the substrate, avoid trimming it for a few weeks so it can become established. The trigger for me is new roots – once you see them, it’s fine to trim, otherwise you can end up traumatising it. Apart from that, dead easy and ideal for beginners. 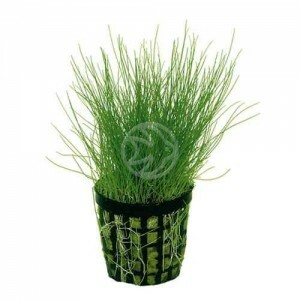 In FOURTH PLACE in carpeting aquarium plantsis Elecharis acicularis which has been in the hobby for donkeys years. In fact when I first start ed to aqusacape (back in the 20th century! ), I remember this plant being very popular but it was always sold in clumps. I vividly remember thinking I was getting a bargain as a bought two lots of 50. When it turned up I was severely disappointed because it was 2 bunches of 50 stems, which was maybe the equivalent to 2 pots at best. But I digress, this is a brilliant contender in Carpeting Aquarium Plants, but I’ve placed it at number 4 because it’s somewhat tricky as if it gets too much light and not enough CO2/fertilisers it clogs up with algae. It can also clog up with general debris so it does need cleaning and syphoning every week unless you have plenty of freshwater shrimp that will clean it for you. Apart from that it looks delightful when swaying in the current and you can trim it very short to give a manicured effect. If you want to see this plant being trimmed have a look at the video below. FIFTH PLACE in carpeting aquarium plants, but certainly one of THE most popular Carpeting Aquarium Plants of all time is the famous Hemianthus callitrichoides. Now you might be surprised this wasn’t at the number one spot but we’re talking about easy carpeting aquarium plants and whilst this one isn’t necessarily difficult, it is unforgiving. Hemianthus callitrichoides can die quickly – in fact you can do a pretty good job at killing it off in a couple of days if you don’t give it plenty of CO2 and lots of fertilisers. With minimal roots, it needs to take all of its nutrients from the leaves and if it doesn’t get just what it wants, it dies off. I know customers who have bought 20+ pots from us, for them all to die because his conditions weren’t quite right. This was a very tough lesson for sure, but it’s a reality. But if you get the conditions as it needs, it’s so beautiful and I’m suggesting that you work up to this plant. Imagine it to be the gold medal of all carpeting plants, because if you can master this one, you will have no problems with any others. If you want to see how fast this plant can grow then check this video out – took a mere 78 days to carpet.